We’ve been rehearsing: ‘My Big Mouth’, ‘Half The World Away’, ‘Bag It Up’, and the alternative version of ‘The Turning’ (the one on the bonus CD from that box-set thing). Unfortunately, as Romeo doesn’t do sound-checks, it’s almost impossible to change anything. I’m guessing it’ll probably fall to me to try some acoustic numbers. We’ll have to wait and see. 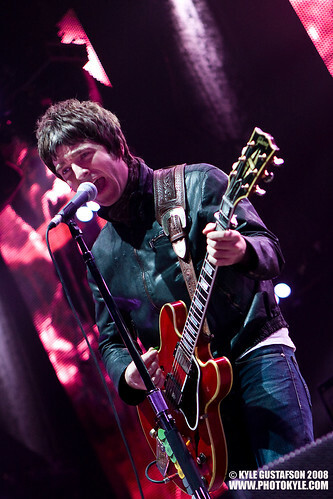 Noel is one smooth so-and-so. Blame it all on Liam. No one will ever ask him. See more of his interview with StopCryingYourHeartOut here.